On the 8th, MBC drama Playful Kiss #3 will be airing the rival match between Baek Seungjo (Kim Hyunjoong) and Bong Jungu (Lee Taesung), thus fledging out its full-scale storyline hereafter. 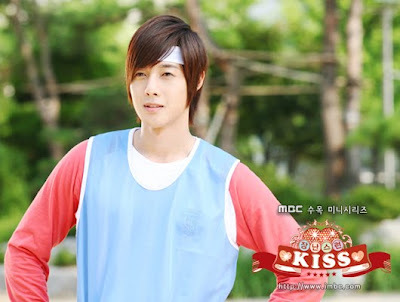 In the #3 of Playful Kiss, the genius Class-1 and bottom-last Class-7 both led by teachers Song Kangi (Hwang Hyoeun) and Song Jioh (Song Yongsik) respectively will be holding their sports day. On this day’s tug-of-war and relay matches that was carried out amidst much enthusiastic cheering-ons, Baek Seungjo from Class 1 and Bong Jungu from Class 7 came together during the finale of the match as they prepare to hold their relay match. Bong Jungu who runs with all his effort paying no attention to any other thing at all yet defeated, against Baek Seungjo who can easily win by simply running. This sports day shooting which took place last beginning of August and was carried out at Bucheon University Field track under the feverish heat of 35 degree celsius. For the sake of the cheering on for sports day scene, Jung Somin who had to put on the doll head all the time throughout showed symptoms of dehydration as the shooting had temporarily paused, despite so, she soon recovered and cheered on the producers who were already worn-out under the heat with her bright lively smile, fully displaying her Oh-Hani-spirit, hence shooting then resumed. For the sake of shooting the scene whereby pigeons will flow and rise above Baek Seungjo and Lee Taesung’s head who are both trying all their best to run for the finishing line, the producing team made use of sweets and candies to entice the pigeons to congregate at one place and at once, the pigeons turned into temporary casts. 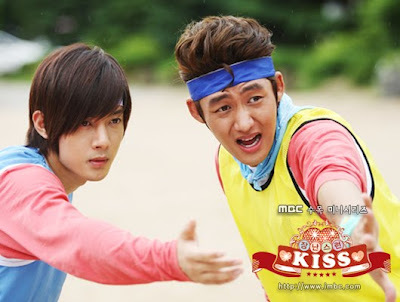 Because of this relay battle, both Kim Hyun Joong and Lee Taesung sprinted forth with all their might, yet despite so, the pigeons who are obviously only focused on the sweets and candies did not fly at all, and instead, it seemed like the casts were the ones who might hurt the pigeons with their mighty running. Soon after the repeating of the shooting ended, Hwang Inroi PD, who kept repeating the shooting because he asks for satisfying results, eventually gave the OK sign. 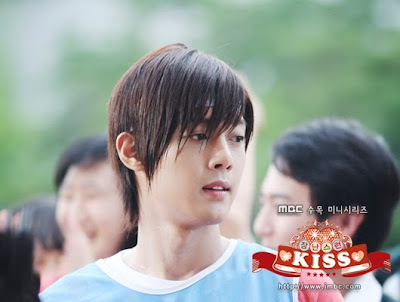 And with that, Kim Hyun Joong who heaved his sigh of relief expressed, “I cannot run anymore now. The pigeons wont even move too…But luckily, thanks to the pigeons, a nice scene was achieved”, showing appreciation for the pigeons, hence arousing a sea of laughters. In addition, Lee Taesung said, “Those difficult scenes…It wasn’t acting there (laughs). Our hardworking staff and actors who worked passionately under the feverish heat, Jangki will show all of you the best”, asking for much love from audiences. Have you guys watched Episode 3 already? Heard the ratings were pretty much the same as the last 2 episodes, but I also heard that Leader has more airtime! I haven't watched yet. I can't wait for the English subs!